Taking on the challenge to develop a broader platform for new and existing AM technologies, the University of Exeter (UK) and Victrex have commenced work in a strategic partnership. The goal is to introduce next-generation Polyaryletherketone (PAEK) polymers and composites while improving the performance of the underlying AM processes. 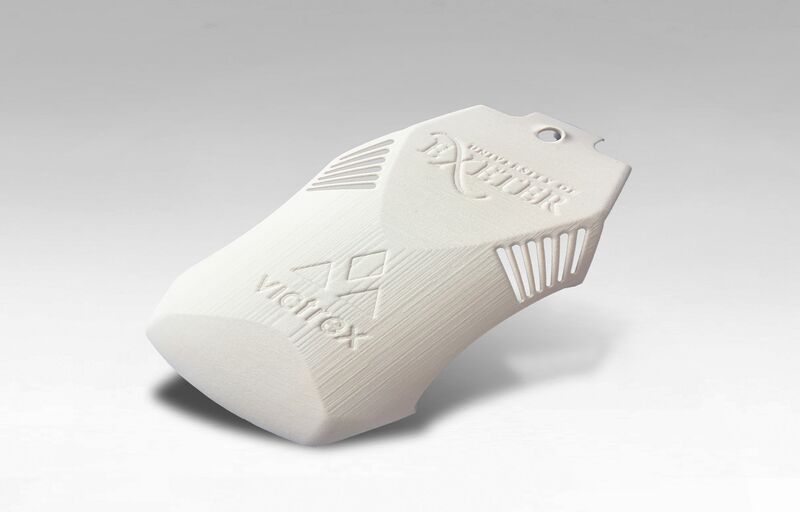 This collaboration is driven by Victrex R&D and the University´s Centre for Additive Layer Manufacturing (CALM). The new alliance will focus on multiple AM technologies. Additive Manufacturing is a key productivity tool of the future, which grew at ~21% last year. The materials and technology to support AM continue to emerge, including the first PAEK polymers designed, developed and optimised specifically for AM. “We are excited to start this partnership and continue our R&D work on development of high-performance materials and AM processes for today’s and future needs and applications. The new PAEK polymer based materials will give designers and developers the opportunity to use the best performing polymers within AM processes and help make this dream a reality, transforming AM into a high-performance production tool”, commented Professor Oana Ghita, the lead of CALM at the University of Exeter. Victrex and CALM started to work together in a consortium focussing on the development of PAEK polymers for various 3D printing processes. After having achieved major improvements, Victrex recently announced newly developed advanced PAEK products designed for AM: A high strength material for laser sintering (LS), a filament with better Z-strength than existing PAEK materials and better printability for filament fusion (FF). Improved technologies for additive manufacturing of PAEK can open up a range of possibilities for design engineers. Potential benefits of using PAEK polymer for AM could include greater design freedom for engineers looking to deploy AM in high-performance applications in a variety of industries,as well as patient-customised implants and improved outcomes through new features and better fit. "Victrex is keen to help overcome barriers to adoption and realise the full potential of PAEK/PEEK-based parts produced using AM technology," explained Ian Smith at Victrex. "In order to open up the AM supply chain, we need to continue to work together to develop an eco-system that can address unmet industry needs and accelerate the adoption of PAEK/PEEK for AM technologies. This cooperation with the University of Exeter is one part of Victrex´s efforts to construct that eco-system."